Time to get haircuts and school supplies for the kids…and time for all of us to learn something interesting about tea, next to water, the world’s most widely consumed beverage. 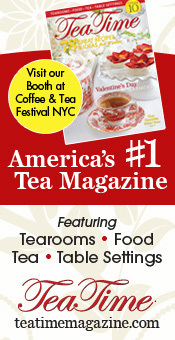 The Tea Association of the U.S.A. offers these tea facts. 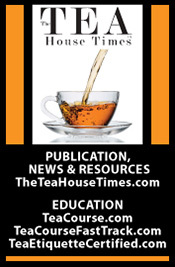 The U.S. continues as the third largest importer of tea in the world after Russia and Pakistan, and literally the only western country to grow in both tea imports and consumption. Approximately 80% of tea consumed in America is iced. Tea is nearly 5,000 years old. Purportedly discovered in 2737 BC by Chinese Emperor Shen-Nung, aka “The Divine Healer”. As legend tells us, some tea leaves accidentally blew into the Emperor’s pot of boiling water and created the first tea brew. According to Chinese tea scholars, the Emperor, as a botanical explorer, accidentally poisoned himself some 85 times, each time being cured by this wonderful tea brew. 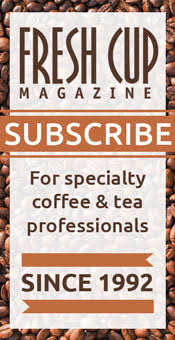 Packed with over 150 amazing coffee experiences in 37 countries, from its birthplace in East Africa, to modern-day Cuba, the United States, Australia and the UK, this follow-up to their hugely popular Global Beer Tour features legendary espresso bars, plantation tours, urban roasteries and must-visit cafes. Inside this definitive guide to coffee tasting around the world, you'll discover exactly where to go and what to try, plus illustrated spreads on roasting coffee, cocktails, brewing techniques and more. 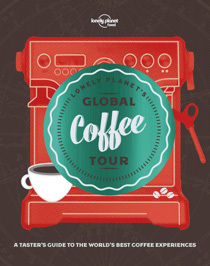 The places you'll learn about in Lonely Planet's Global Coffee Tour and visit aren't just cafes - they're meccas for coffee lovers, offering insight into the local culture and the history, personalities, passion and creativity behind each coffee. 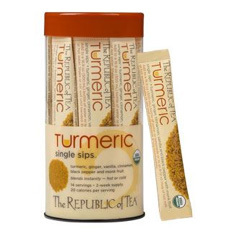 The Republic of Tea enriches people’s lives through its premium teas, education and innovation, as it emphasizes a “Sip by Sip Rather Than Gulp by Gulp” lifestyle. 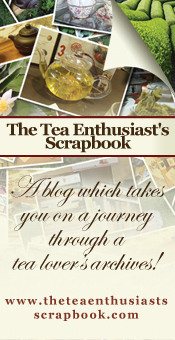 Founded in 1992, The Republic of Tea sparked a specialty tea revolution. 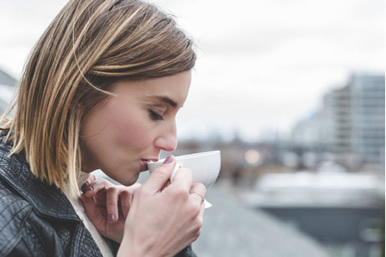 Today the brand offers an unequaled selection of the highest-quality teas, herbal blends, books and nature-inspired sip ware, available exclusively at specialty retailers throughout the U.S. 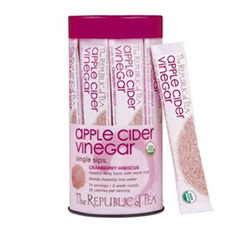 The Republic of Tea is also mindful of how its actions impact the greater community and actively supports worthy organizations like Action Against Hunger, The Ethical Tea Partnership, The Prostate Cancer Foundation, Xerces Society and The Whole Planet Foundation. Certifications include Demeter USA Certified Biodynamic, Fair Trade certification, Gluten-Free certification, Non-GMO Project verification, OU Kosher certification, Rainforest Alliance certification and USDA Organic certification. 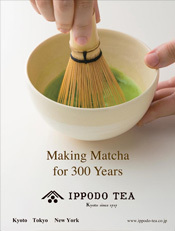 Now you can make premium organic matcha tea easily and conveniently, whether at home or on the go. 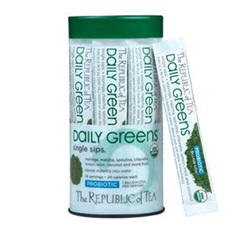 Featuring a touch of monk fruit and the prebiotic agave inulin, each Single Sip makes a slightly sweetened cup of matcha with just 13 calories. Add a Single Sip packet directly to a bottle of water for a chilled matcha — simply pour, shake, and sip! If you prefer a freshly made cup of matcha hot wherever you are, add a packet to hot water then give it a stir; no need for fancy whisks or frothers. Each recyclable PET canister includes 14 individual Single Sip packets for a two-week supply. $19.99. Developed as a hobby and launched in January 2014 by technology entrepreneur and coffee lover Chris Cooper, Black Medicine is the innovator of the first cold pressed RTD coffee. Black Medicine is brewed and bottled in the Company’s 18,000 sq. ft. facility in Oakland using a custom, proprietary process that first roasts a special blend of Latin American and African coffee beans and then hot brews in a high-pressure environment before cooling it down in small, concentrated batches. Unlike standard cold brewing process, oxygen is kept out of the process which allows for a fuller extraction from the coffee, giving it a more enjoyable and robust flavor profile. 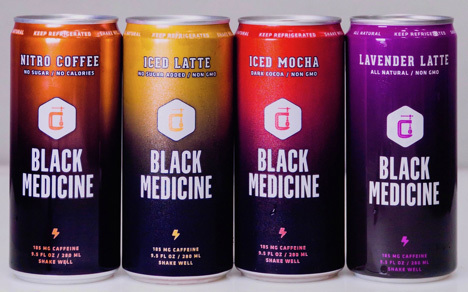 Black Medicine Iced Coffee, innovator of the first cold pressed RTD coffee, is expanding its all-natural product line with launch of a Lavender Latte to complement its existing Iced Coffee, Mocha and Latte items. The lavender flower is increasingly being used as a culinary herb in food and beverages and is known for its floral and spicy aroma. Black Medicine Lavender Latte, which becomes the first of its kind in the RTD coffee category, is an all-natural product that is slightly sweetened with organic cane sugar and has 185mg of caffeine (same as existing line) to deliver a potent energy boost. 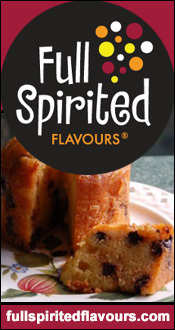 The package design features lavender’s signature purple color and is tied to an overall package redesign of its 9.5 oz. sleek cans this summer to improve on shelf visibility and communication of product line flavors. Brighter colors on Black Medicine’s iconic black can will enable consumers to better identify flavors on shelf, and product names have been moved to the top of the can. 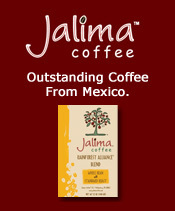 Non-GMO designation and caffeine content were added to the front label as well. These initiatives are being introduced as the company is reporting accelerated consumer sales growth during 2018. During the first 4 months of 2018, Black Medicine same store sales volume increased an impressive 58%, over four times faster than the overall refrigerated RTD coffee category which experienced solid growth of 14% and represents one of the fastest growing beverage categories (Source: SPINS data. Western Region MULO 12 weeks ending 4/22/18). 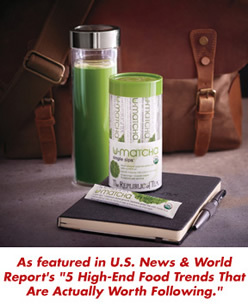 The Brand has distribution in approximately 1,000 conventional and natural/specialty grocery stores on the West Coast, including 3 regions of Albertsons/Safeway and Whole Foods Markets NCAL region. Additionally, Black Medicine has expanded its fast growing foodservice/on premise keg business with sales up approximately 40% during 2018, driven by increased NCAL market penetration with 3 new regional distributor partnerships. Since its launch in 2014 in the Bay Area, Black Medicine has been redefining the RTD coffee experience by offering coffee lovers an uncompromising, full-bodied intensity as a result of its proprietary process in which fresh roasted coffee is hot brewed then cold pressed under oxygen-free pressure to allow for a fuller extraction from the coffee. The results is a bolder, more robust and intense cold coffee than offered by traditional cold brews. The story of honey is older than history itself. An 8,000-year-old cave painting1 in Spain depicts honey harvesting, and we know it's been used for food, medicine and more by cultures all over the world since. But honey isn't about humans. It's the natural product made from bees—one of our planet's most important animals. Honey bees visit millions of blossoms in their lifetimes, making pollination of plants possible and collecting nectar to bring back to the hive. Lucky for us, bees make more honey than their colony needs, and beekeepers remove the excess and bottle it. Just like they've been doing since the beginning of time. Since September is National Honey Month, we thought it would be a good time to take this honey quiz from the National Honey Board to see just how much we all know about nature’s finest work. 1. How many flowers must honey bees tap to make one pound of honey? 2. How far does a hive of bees fly to bring you one pound of honey? 3. How much honey does the average worker honey bee make in her lifetime? 4. How fast does a honey bee fly? 5. How much honey would it take to fuel a bee's flight around the world? 7. How long have bees been producing honey from flowering plants? 8. 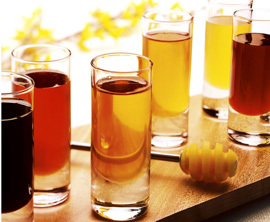 What Scottish liqueur is made with honey? 9. How many sides does each honeycomb cell have? 10. What is the U.S. per capita consumption of honey? 11. What state is known as the beehive state? 12. How many wings does a honey bee have? 13. How many beekeepers are there in the United States? 14. How many honey-producing colonies of bees are there in the United States? 15. How many flowers does a honey bee visit during one collection trip? 16. How do honey bees communicate with one another? 17. What does "super" mean to a beekeeper? 1. Two million. 2. Over 55,000 miles. 3. 1/12 teaspoon. 4. About 15 miles per hour. 5. About one ounce. 6. Honey wine. 7. 10-20 million years. 8. Drambuie. 9. Six. 10. On average, each person consumes about 1.3 pounds per year. 11. Utah. 12. Four. 13. USDA has estimated that there are between 139,600 and 212,000 beekeepers in the United States. Most are hobbyists with less than 25 hives. 14. 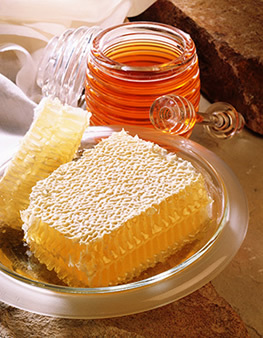 The USDA estimates that there are approximately 2.68 million honey producing colonies. This estimate is based on beekeepers who managed five or more colonies in 2010. 15 50-100. 16. "Dancing." Honey bees do a dance which alerts other bees where nectar and pollen was located. The dance explains direction and distance. Bees also communicate with pheromones. 17. The super is the hive box in which honey is stored. 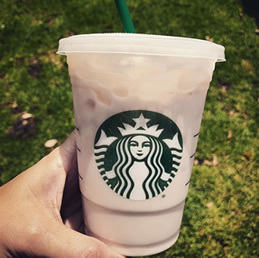 If you are following the Keto diet AND a fan of Starbucks then you’ll rejoice in the latest offering on their “secret menu” that removes the carbs and sugars. But, much like the stress Jerry Seinfeld felt when ordering the medium crab bisque on the famous “Soup Nazi” episode of Seinfeld, you have to know how to order. We’re talking about the Peach Citrus White Tea, a Keto-friendly version of the chain's Peach Citrus White Tea Infusion. This secret menu item is carb- and sugar-free, which, of course, is why it is keto-diet approved. And if you're feeling a little adventurous that day, you can also get it blended. According to Delish.com, one Instagram user described the tea as "liquid peach cobbler." Another compared the tea to Disney's Peach Milk Tea from Epcot. Someone said they thought they'd been given the wrong drink, because it didn't taste sugar-free. They stopped at another Starbucks and ordered the same drink to compare, and realized it was not a mistake, but that the "drink is straight up amazing." StaceyNoelle28 shared “tastes like a peach cobbler pie” in her Instagram post, photo shown here. • How Much Do You Know About Honey?